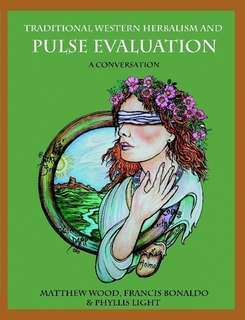 The Herbal Practitioner Program is divided into two sections: the Advanced Community Herbalist and the Herbal Practitioner. A student may take one or both sections and each section is awarded a separate certificate of completion. However, to receive the Herbal Practitioner Certificate, the student must have completed the Family, Community, Advanced Community, and Herbal Practitioner programs. The Advanced Community Herbalist Program allows the student who wishes to carry forth with advanced studies, but doesn’t want to participate in clinic, the opportunity to do so. This also concentrates the clinical aspect of the program which allows for intense attention to practice sessions for students in the Herbal Practitioner Program. 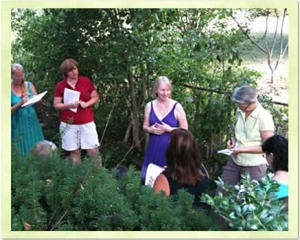 The Advanced Community Herbalist is a continuation of study from the Community Herbalist Program. The student will learn about natural approaches to mental health issues, autoimmune disorders, common disorders, herb/drug interactions, and contraindications, cancer, and healthy aging. We’ll continue to look at the effect of nutrition on health and well-being, especially the effect of nutrition on specific disorders. These Advanced classes are from January through July. However, this class isn’t only for those wishing to open a practice or work in the natural health field, it’s also for anyone wishing to delve deeper into using herbs as remedies for self, family, and friends. In addition, you’ll learn about herb/drug interactions and safety, neurotransmitters, and herbs for mental health disorders, common disorders such as Lyme, arthritis, or acne, 19 common autoimmune disorders, and how herbs and foods can help us age healthily. Please check the class syllabus for a full list of topics. Pre-requisites to this program includes previous studies from an approved herbal program or the completion of ACNH Family Herbalist and Community Herbalist Programs. The clinical portion of the Herbal Practitioner Program (HPP) is a certificate program, held one weekend a month for ten months, beginning in January and ending in November. Class times are 9:30 am – 5:00 pm on Saturday and 9:00 am – 4:00 pm on Sunday. The Herbal Practitioner Program (HPP): Tuition is $1250.00 for five months, or $250 per month. The Advanced Community Herbalist: Tuition is $250 a month for a total of $1500. For students taking both the Advanced Community Herbalist and Herbal Practitioner Programs the cost is $2750 or $250 a month for 11 months. Full-tuition for both the Advanced Community Herbalist and the Herbal Practitioner Programs are due on the first day of class unless other arrangements have been made. A monthly payment plan option of $250.00 per month is available for your convenience, but must be worked out in advance. Please note, that once you commit to the program whether or not you pay in advance or pay by the month, you are responsible for the month’s payment even if you miss a class. Missed classes can be recorded and notes can be borrowed from other students. Most classes meet on the 3rd weekend of each month unless otherwise noted. Food as Medicine – comprehensive lecture. Saturday and Sunday – Mental Health Weekend Intensive: Neurotransmitters. Natural approaches for mental health issues, including depression, addiction, etc. Review connections to methylation and epigenetics. Case studies. Saturday and Sunday- Autoimmune Weekend Intensive. Discussion of 19 common types of autoimmune disorders and their patterns of dysfunction. Natural approaches to autoimmune issues including herbs, supplements, dietary approaches, and lifestyle changes. Case studies. Saturday and Sunday – Common Disorders Weekend Intensive. Discussion of common disorders such as Lyme’s disease, Autism, Alzheimer’s, Parkinson’s, Macular degeneration, Acne, Arthritis, High blood pressure, High cholesterol, Carpal tunnel syndrome, Eczema, Gallbladder problems, Flu, etc. Case studies. Saturday- Common Disorders – Burns, Tinnitus, Mononucleosis, Boils, Sunburn, Constipation, Ear Infections, Gum disease, Herpes, Osteoporosis, Warts, etc. Sunday – Herb/Drug Contraindications and Herbal Safety. Case studies. Saturday – Healthy aging and longevity. End of life care. Ten essential oils for the herbalist. Ten homeopathic remedies for the medicine chest. Sunday – Cancer theories and natural approaches. Immune system. Dietary and lifestyle approaches. Case studies. Saturday – The intake process: how to do an intake. Creating an intake form. Purpose of informed consent. Using educational language. How to do a case study for class homework. Sunday – Listening and counseling skills. Marketing your practice. Creating community outreach. Building a working relationship with allied healthcare professionals. Legal issues for the practitioner. Ethics in practice. Mind/body paradigm. Case studies and clinic. Pathology and Disease. Case studies and clinic. Putting it all together. Case studies and clinic. November 16 and 17 – Present course projects. Food, fun, and happy memories. Certificates!!! !